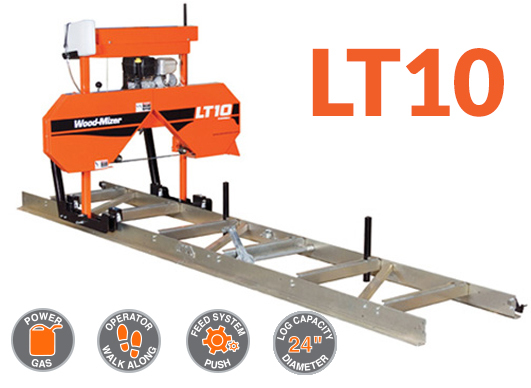 The LT10 is an entry-level mill that is capable of producing big dreams for weekend sawyers who love the idea of cutting their own lumber while minimizing their investment. The LT15 is an overachiever in its class and has produced more than 2.5 times its published board foot per hour rate in several competitive events. 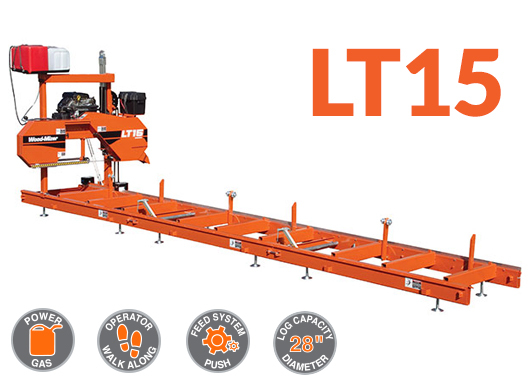 With more standard horsepower than the LT10 and the ability to saw unlimited log lengths, the LT15 is a powerhouse that will take on any size project, dream or lumber demand.